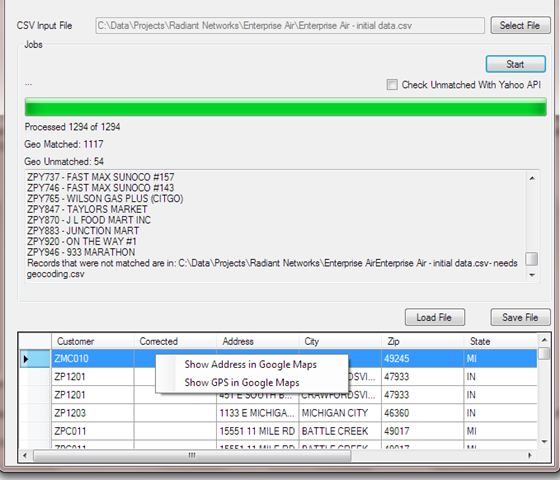 In order to efficiently route deliveries, customer addresses must be geocoded. 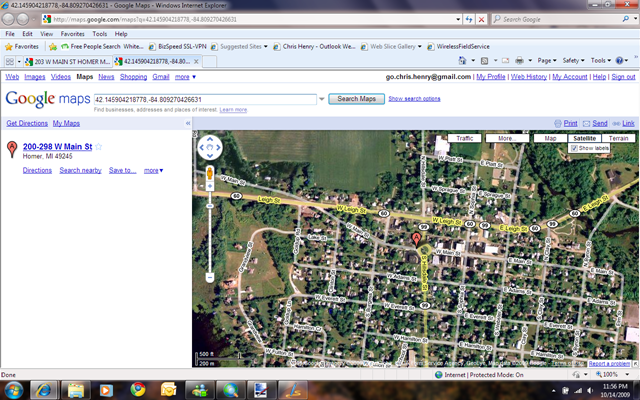 Geocoding is the process of taking an address and translating it into GPS coordinates – latitude and longitude. The GPS coordinate is what all route optimization and territory planning tools use to develop routes. 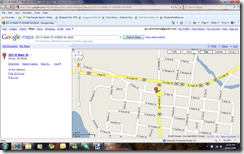 BizSpeed has updated our geocoding toolkit to use Microsoft MapPoint 2010, Yahoo Maps and Google Maps for geocoding. Whether you are delivering to a commercial customer or a residence, we can help you geocode your delivery addresses. However, the correct address is. 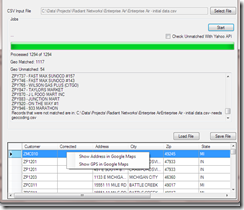 BizSpeed’s geocoding tool uses MapPoint for the initial geocoding pass. If unsuccessful, we use a customer’s Yahoo API key and attempt to geocode with Yahoo Maps. Yahoo Maps does a better job interpreting street name differences. If still unsuccessful, we write an output file that lists all the variations of potential addresses along with a link to the address in Google Maps. 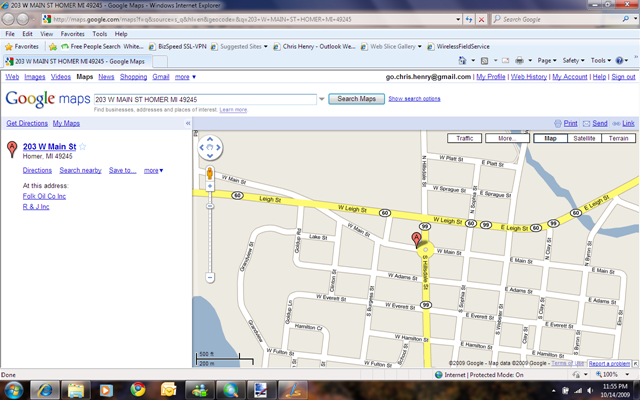 For each address, we provide a link to show the address in Google Maps or to show the GPS position in Google Maps. 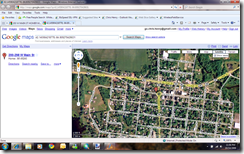 For each record processed, whether found or not, you can click and launch Google Maps with the address or with GPS coordinates to find or confirm the lat/long and location. If a correction needs to be made, find the right address update and simply copy it into the geocoding toolkit to save the changes. 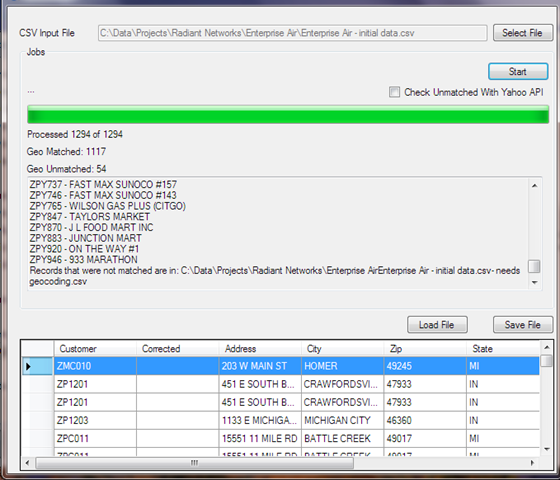 Accurate geocoding is critical to developing optimized routes and optimize distribution territories. BizSpeed provides our toolkit for existing distribution customers, and for more complex solutions provides geocoding by recording GPS from our Proof of Delivery software or by matching POD delivery times with GPS coordinates from on-board GPS solutions such as GeoTAB.